Satsuma and Clementine Mandarins are in! These little gems are easy to peel, sweet to eat and seedless. They're great for a snack or to pack in lunches, and what's not to love about their natural wrapper. Get them now, the price is right and ths season's short! Ripen mandarins at room temperature.Test the fruit for ripeness by gently pressing the center or the mandrin's bottom, it should yeild to the pressure. (the stem end being the top ;0}-) Once ripe, be sure to refrigerate so the fruit's juice doesn't begin to ferment. This entry was posted in Uncategorized and tagged buy local, farmer's market, fruit, isimmer, local markets, mandrin, november, orange, san francisco farm's market, satsuma, sweet. Bookmark the permalink. 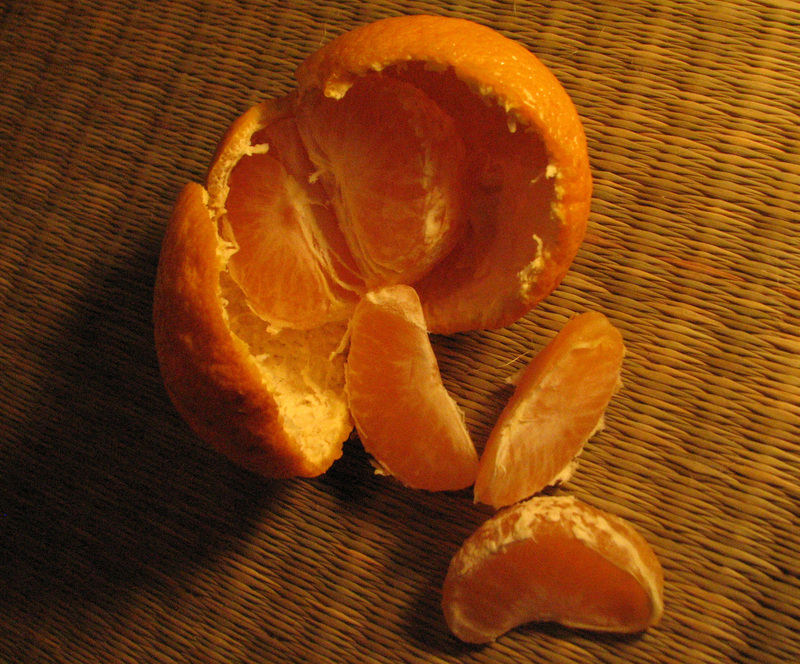 1 Response to Satsuma and Clementine Mandarins are in!